Best known for his role as Capt. B.J. Hunnicutt in the long-running TV series M.A.S.H., Mike Farrell will be the keynote speaker at the annual meeting and banquet of Oregonians for Alternatives to the Death Penalty. The event is set for Friday, June 12th, at the Keizer Civic Center, in Keizer, Oregon. While known best for that popular M.A.S.H. character, his other credits and accomplishments are impressive. His first roles in TV were in the daytime soap opera "Days of Our Lives". He also has acting credits in the TV series "Providence", "The Interns", and "The Man and The City". Mike also co-hosted the PBS special "Saving the Wildlife" and the "Best of the National Geographic’s Special". A little known, but powerful role was the voice of Jonathon Kent in the animated TV series Superman and "The Last Son of Krypton" Superman movie. Author of "Just Call Me Mike: The journey of actor and activist", Mike Farrell has distinguished himself out of the celebrity spotlight with numerous awards and citations as well. &nbsp;His work in criminal justice, environmental issues, children’s rights, immigration issues, animal rights have been honored, awarded and acknowledged. 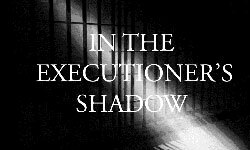 A key position that links Mr. Farrell to Oregonians for Alternatives to the Death Penalty is his position as President of Death Penalty Focus, the California group leading the efforts to abolish that state’s death penalty. Tickets for the evening are $40 and available on-line at oadp.org, or by calling (503) 990-7060. Tables of eight can be reserved and sponsored tables will be recognized in the evening’s program. A reception for ticket holder to meet Mike Farrell will begin at 5PM, at the Keizer Civic Center. Dinner begins at 6PM, followed by the program.